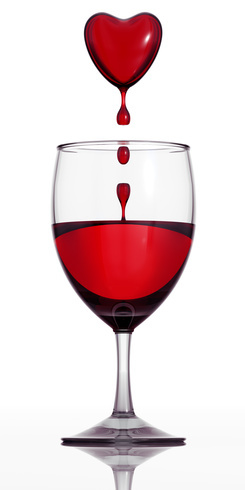 Red wine is turning out to be a superfood that aids weight loss and breast cancer. It owes it magic to the entire synergistic grape polyphenol group of nutrients that are more highly available in wine than it is directly from grapes or from grape extracts. The grape polyphenol group speeds up fat burning and inhibits breast tumor growth and metastasis. 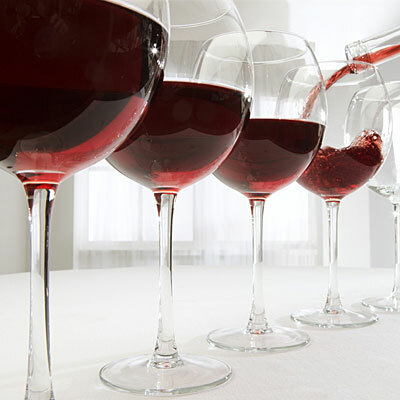 Recent research is even showing that red wine slows the aging process. The “French Paradox” was coined by Dr. Serge Renaud and introduced to Americans on TV in 1991 during a 60 Minutes segment. Explaining his research, Renaud noted a profound lifestyle difference between Americans and the French — red wine consumption. The two cultures ate the same kinds of food, yet more Americans were dying from heart attacks than the French. He proposed the theory that red wine provided some sort of cardio-protective benefit to the French despite all of the butter and fat that they ate. Although the theory is still debated, it’s believed that red wine’s polyphenol content provides the benefit. Two new studies suggest that substances usually associated with dulling the mind — marijuana and red wine — may help ward off Alzheimer’s disease and other forms of age-related memory loss. Their addition comes as another study dethrones folk remedy ginkgo biloba as proof against the disease.